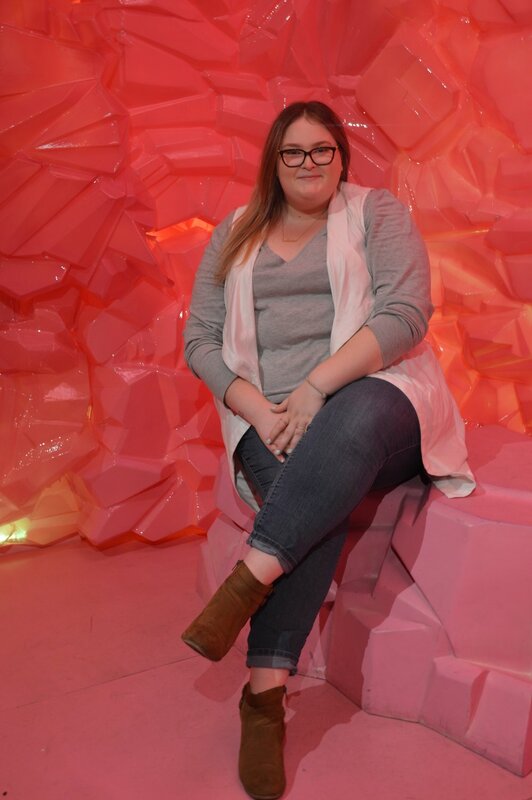 In my last post about the Museum of Ice Cream I wrote about how it was the coolest place I had ever been. 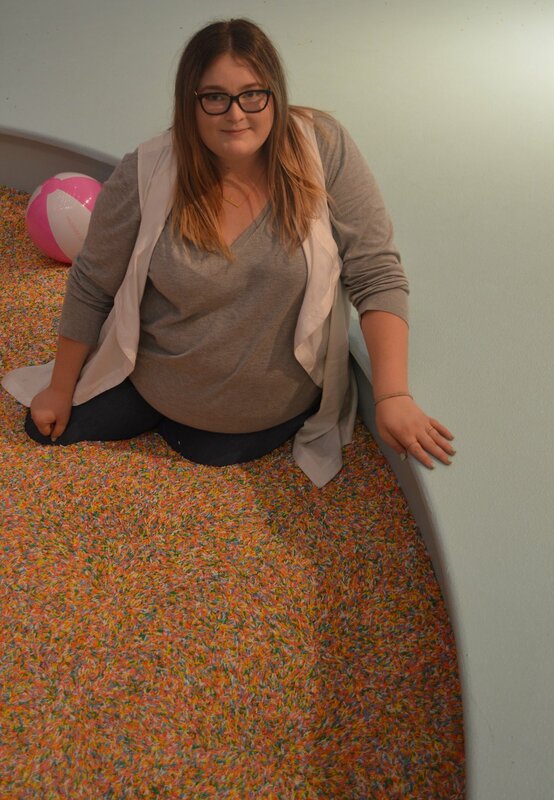 I have been to The Museum of Ice Cream in San Fransisco twice, having a different experience both times. On both trips I was accompanied by so many great friends, both new and old! That's what MOIC is all about, embracing your inner child and spending time with people that make you happy to be living life to the fullest. The best part about going to San Fransisco two separate times months apart, is some of the exhibits have been changed out creating a new experience each time. In October of last year, there was a rock climbing wall with a candy rock formation and a room filled with cylindrical popsicles, but fast forwarding to May of this year both had been replaced with the circus animal cookie rides and a mint jungle. The diner set up with ice cream themed records lining the walls is one installation that hasn't changed and it is one of the coolest rooms to immerse yourself in, plus you can get some really cute diner counter pictures with all of your friends! Probably the most famous installation in San Fransisco is enjoying the company of Harvey and Gloria, the resident unicorns.... and visiting their disco ball barn. Taking in the games through the whole museum is so fun, play bottle toss, spin the wheel, and take the opportunity to use the boomerang cameras. The gummy bear forest is the brightest, and most imaginative room in the experience. They line the walls with pink, orange, and yellow stripes surrounded by pink "grass" and all the little gummy bears you could ever want to photograph! Obviously the main attraction for most people is the... SPRINKLE POOL! 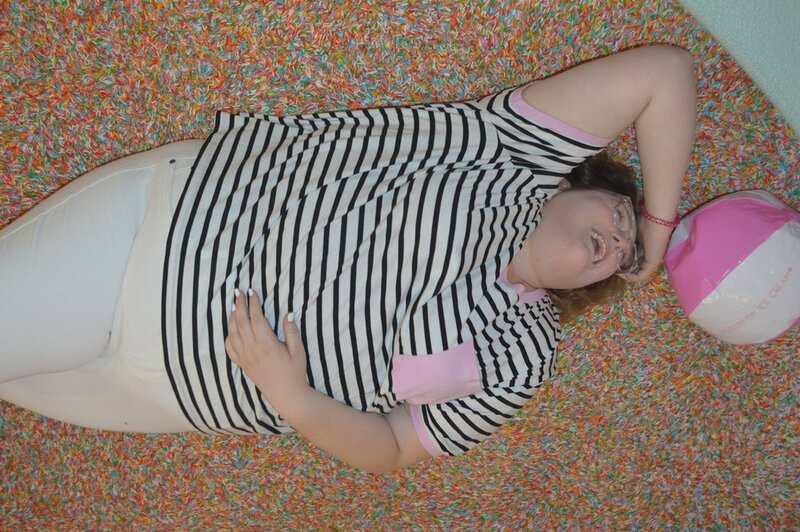 Swimming in a sink hole of sprinkles that end up everywhere. Not to mention the built in souvenirs when you get home. The fun of the sprinkle pool is what makes your experience exciting, shout out to tour guide Eric for letting our group have the sprinkle pool all to ourselves. With the pool being the most notable of installations, there is a time limit, so of your three minutes use the first to get your; photos, videos, and boomerangs. Then spend the rest of your time throughly enjoying the pool. Let's talk about snacks, shall we? 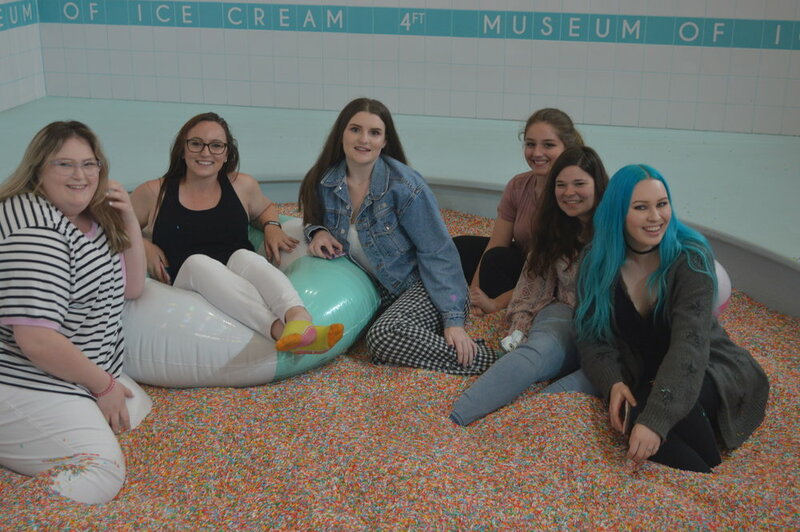 The tasting experience at The Museum of Ice Cream is not just your basic vanilla in a cup, it is an experience in out of the world flavors and textures. 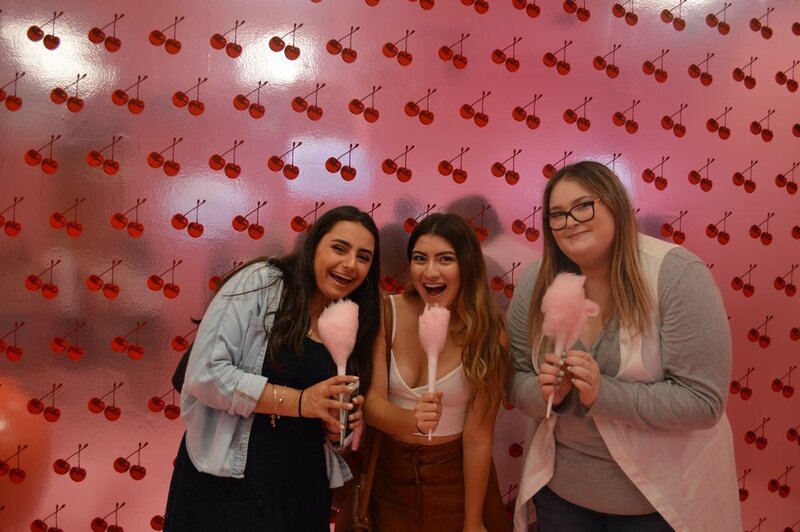 From the soft serve flavored like a rocket popsicle connecting you to summer childhood memories, the cherry flavored cotton candy, mint chip mochi (or in the past cookies and cream), extreme apple pop rocks, and fruity popsicles. When guests enter the carnival room, they ask where your happy place is. 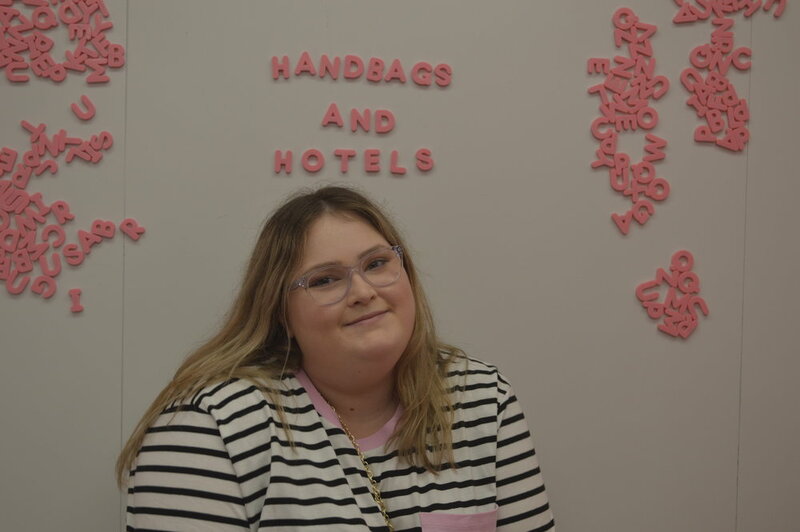 I answered that the Museum of Ice Cream is... and that's because it's a tangible place I can go to and have the memories to look back on, when I need to think about how amazing, joyous, creative, and beautiful life can be. 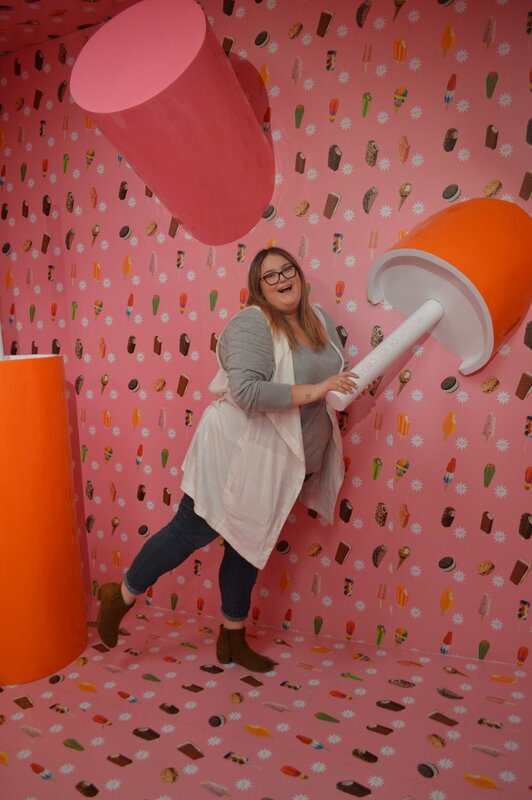 If you are in, going to visit, or just want to make a special trip to San Fransisco, go visit Museum of Ice Cream. To get tickets and keep up to date on what is coming next for them check out their website.